There are many Hotels that are located in central hubs of the city but that does not mean that the guests want to hear all the hustle and bustle of the city while they are trying to sleep. If your guest do not get a good night of sleep due to noise, they are unlikely to return. Sound Barrier can install soundproof windows and soundproof doors to cut the noise so the guests get a good nights sleep, and you get return visitors. 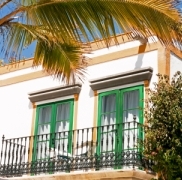 Sound Barrier Systems have provided double glazing solutions to many hotels and motels, large and small, over many decades. Our systems are designed to provide the highest possible acoustic rating and our installation program is designed to ensure the least possible disruption to your guests. The durability of our powder coated aluminium frames and glass provide decades of trouble free operation and ease of cleaning by your housekeeping staff. For the reverse scenario where your bar or club may be making too much noise for your residential neighbours, our soundproof window solution will also stop the noise from leaving the building and annoying your neighbours. 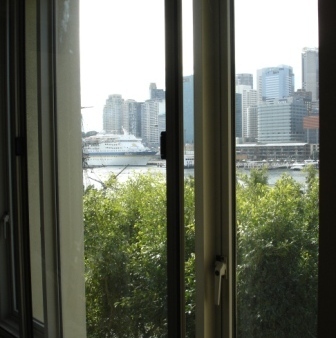 The soundproof window solution for your hotel needs to be effective and attractive. At Sound Barrier we do both. 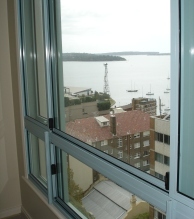 Our soundproof windows block out 75% of the noise and are easy to operate and look great. Our double-glazed door solution is the highest rated acoustic door available on the market today. It will ensure that your guests are not woken by traffic noise.